Hells yeah! Actually, I don't know what Phase 2 is, but got to be better than Phase 1. OLOLO! uuooooo, that sounds great, the question is: how many phases are left? imminent is less soon than the normal soon wich equals to "closed to never"? Sorry for some sarcasm about the "soon" word i'm sure some people of here will agree that the words "imminent" and "soon" means "too long"
After the Event, members of the Cabal will be taken to prisons with zero contact with the outer world whatsoever and will be isolated from each other. Agreed - Cobra must be referring to this 'Phase 2'. Exciting stuff - as says, "AFTER the Event ..."
y'all are completely off the mark. If COBRA was referring to this, for Phase 2: Adjudication to go ahead; wouldn't we already have the Cabal arrested and in handcuffs?? I can still see UK Prime Minister David Ca-moron on my TV. How about yours?? I think something is driving us wrong about this Phase2. If it is the think John Doe is pointing at, we should see Arrests at 1st (Phase1). Then Adjudication of crimes by a judge (Phase2). But I'm far to be an expert of law and so I could be wrong! Anyway since it is imminent, we will discover what about that very soon! I have been thinking about this, yes the arrest haven't happened but phase two is imminent it hasn't yet happened, this means that all that needs to happen is the arrests, presumably the arrests would be the logical place to end phase one as they are the most circumstantial, so does this mean that the arrests could be a day away? Lets hope so! Hello. I interpretate „Phase 2 immitent“ like this, or different. Cobra writes to Phase 1: … Therefore action will be taken as soon as everything is ready and it will remove the Cabal from the society. And on prepareforchange.net (and other pages too) is written: On the physical plane there will be „the arrest of the Cabal (already started)“. So that means for me when the actual event will take action (re-set of Financial System etc. ), then the MAIN CABAL will be arrested, before „only“ less important persons of the Cabal. So at least in my opinion the event is actual Phase 1… and the first phase still has not started (except of some ‚smaller’ arrests). And when Cobra posts now that Phase 2 will be immitent, so I think Phase 1 will be very (!) immitent !? In a 2012 post by C, he says phase 1 is the Event, phase 2 is the restructuring of the global financial system and Disclosure, and phase 3 is First Contact. I think phase 2 is the systematic planned collapse of the global financial system (which may take months/years) so that the masses don't panic too much and the transition is easier. I believe phase 2 can happen before phase 1 (arrests). One thing is for certain, Cobra has never said any of the planned phases were imminent! Plus all of the other trusted sources like Ben fulford, DW&CG, James gilliland are saying the same thing. We're close everyone :) keep holding the Light! Disengagement of warring parties, military forces recalled permanently from active duty and restructured into peace keeping force, nuclear weaponry disarmed. Very excited about this development, David Wilcock is saying that it is very close as well! That is what I am talking about. It is so close, I can taste it. 1) What happens to public schools (pre-k to High School) and state/community colleges? Will those still be in session do you think? That affects the child care situation as well, for smaller children if school is off. 2) At what point in which phase would any mandatory vaccination laws be nullified so people don't have to struggle with being coerced against their consent? 3) At what point in which phase will the chemtrailing...*ahem* "geo-engineering"...be stopped? 4) At what point in which phase will the releasing of GM mosquitos and such be ended (or slipping vaccines into bananas covertly, etc)? ..did you copy that from a previous Cobra post? Yes. I was so excited that I forgot to add the link. Cheers Cobra, RM... anyone who's helping to make this planet a better place to live. i think john doe who posted in these comments has it right. this is only my OPINION after reading so many of the comments that are trying to decipher this message. i prefer to be very cautious when attempting to understand the code that is being communicated among resistance members. it's that "on a need-to-know-basis" thing. i probably don't need to know until cobra decides it's appropriate. March 2016 is deadline from Council of Light to Light Forces to trigger The Event. Why would we need banks under your scenario? This is Phase 2 *AFTER THE EVENT*. The photo have change too ! Victory of the light ! Astronaut will have the opportunity High Five The Light! Good luck RM keep it up! That is good news...but Phase 2 of what? And how many phases are there? So What's the second phase? Phase 2 of what? Operation Stardust? Our Time is Here, Our Time is NOW. The Sun in Your Eyes makes all of the lies worth believing. I AM The Maker Of Rules dealing with fools. I've read Sheldan Nidle's latest update stating that no governance will be in place in the next few weeks and distribution of NESARA funds will also begin. Things are getting interesting with the global economy. Starting to look like the big banks are beginning to collapse! Lets home the event is very close now, the waiting just seems to go on and on! Sheldan Nidle always says that "in the next feew weeks NESARA will begin." I agree with Fabiano. Sheldan Nidle said that several times. How will the distribution of welfare funds through bank accounts when we know that much of the population has no bank account, particularly in developing countries where the banking rate does not exceed 20% ? If you want it even faster you can read Zap. Then it is next week. I think I may have read that bank accounts will be created to funnel money into; if none exists for those people. And about Sheldan Nidle - he is basically controlled opposition.. most of what he says has been edited and distorted to give us a false sense of security. I don't know if he is even aware himself. The Cabal have a technology called Voice of God - it allows them to channel information into peoples heads. There is proof of this. Hi Cobra, phase 2 is a maior step or it is like other routine criptomessage? Happy for you.now what the frell is Phase 2? This is great...if true! The below link website claims that the 4th dimension- where all the bad-guys hide, (Archons) has collapsed. Some additional verification of this event would be super! From my experience, it seems that those who perpetuate darkness on this planet have lost the energy which propelled them to continue. Almost as if they are now in "quicksand". Some may know it, others do not. Stay present, my friends. Keep moving forward and be the change. ruh roh!!!!! aaannnd away we go!!! Phase two in a progression of steps can only be construed as a mile stone in a preordained sequence of planned events. So be it and welcome to planet earth madame "phase two"
Get Ready. Here it comes. BRING IT!!! Whatever is Phase 2 I'm all up for it. Unless it is worse than our current situation collectively. In that case, I call captain Lucifer Night/MorningStar for an interstellar lift. Thanks and gratitude to all who work towards the evolution of all created. Ok...does this mean we need to take our money out of the banks and wrap it in mylar sheets as they mentioned in the latest interview? What if I don't want to spend it on chunks of gold or silver? I think it would be better spent on things like aspirin, toilet paper, canned goods, water etc. It's just tough not knowing how long this reconstruction period will be. How much will we need? No worries. We will be given what we need, and then some. You so not need to concern yourself with money. For the time being, we will still be using it. But it will phase out. It is only used for control anyway. If people remember it has been stated that when the Arrests happen the digital funds in ALL banks will be frozen. Also, it's likely that shops during "Phase 2"(?) won't accept paper money but only gold/silver coins. Gold coins however can be pretty expensive ($100+ = 1 gold coin). Silver from what I can tell is cheaper ($20+ = 1 silver coin). Personally, I think converting paper funds into physical assets (toilet paper ex) might be a better approach. Cos' depending on how much paper money a person has, they'd only be able to afford only a handful of gold coins or silver coins and from what I can understand no one knows how much bread will cost in gold coins or in silver coins. For example I just googled this and apparently 1 ounce of gold = 350 loafs of bread 600 BC ago so.. Iunno if that's how many loafs we can buy and how does a person get remaining money back if I want to buy only one loaf? Do I get copper coins? I don't know.. So ya, it is a struggle. Don't worry too much, it will be ok. Most estimates I've seen have the reset take 3-7 days. Hello, i just saw your question, and I posted more or less an answer to your question, awaiting approval. See: NIRP and ZIRP, Janet Yellen. My meditation teacher (Betty, who died herself in 2002) used to tell us, in order to talk to our friends who have crossed over: "Go for a drive! Imagine them sitting in the car seat next to you! Start talking to them....They will be there... They love to go for a drive!" Ash Wednesday - they put crosses on their foreheads with soot. It also means it's the first day of Lent where they give up something they enjoy for the next 40 days, and after that period it's Easter. There's something to do with palm branches but I don't know much about that. from some of the interviews i have heard Cobra mention up to 3 phases in regards to some operations. Now I can't recall if more than that... but i remember 3... of course the operations vary... so whichever operation they are working on phase II does seem progress imho. can you comment on the gnu plus linux/Free Software Foundation? I am a big fan of ethical, community friendly such software - what question do U have? Phase 2 makes no sense without phase 1 first. So....mass-arrests this weekend? Or they have already happened, and it is being kept under wraps to maintain OPSEC. OR Phase 2 imminent means something else than what we think it means. I hope this imminent operation is to put in jail all the loose flea .announce the new government and end debts.sick of paying to this bullies and their order followers . In this video it is said that it is destructive to play dumb, and do not assume any responsibility for oneself. Personally I am at my wits end. Either I will be killed, or I will kill myself. Enough is enough. Every single thing that people do is because of money. I am sorry money, it is not you, but the monsters behind it. The pressure from not having enough to even pay your bills, it all just streams down from that. Now I take total responsibility for my life, but to not even know what I am taking responsibility for? Well I suppose it does not matter, except when my husband is constantly raging on me. For what? You name it. I really hope people get more enlightened and know who they are. This can't happen soon enough. One way or another, I am out of here. Hang in there Goddess. I know it's hard, but it is temporary. Find some time to be with yourself. Take a walk. Write in a journal. Be in the woods. Taking the pressure of the system off is more important than paying the bills. Find some time to sit and watch your thoughts happen without investing in them. You may find that those thoughts are not you, and they are not true. The suffering comes from having a false sense of insecurity, from believing what we have been programmed to believe. I know it's hard, but use that suffering to find the way threw it. You can do it. Hey, sometimes it is good to give yourself the space to fail. Especially in a broken unfair system that is weighed against you. Maybe give yourself the space to be who you are without allowing others to impose their self on you. Maybe it is time to retract and give yourself the space you need. 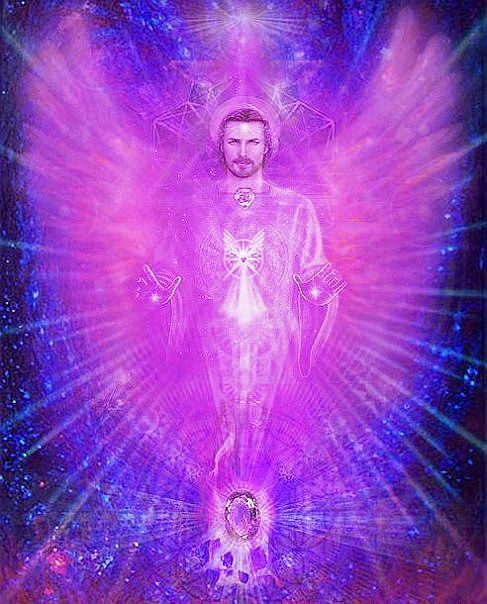 Taking away your body's life would be a waste at this moment I believe, because awakened individuals are needed to balance the energy grid on this planet. I have felt the way you do myself. I had to learn to not be caught up in expectations. And just be. Be well. Take care of yourself. Victory to the light. Hang in there! If you've come this far, we'll/they'll need you "on the other side!!!" Lots of Love! ;) Victory to the Light! Boy, I do share your feelings..... What you so well describe has been going on for too long now and with no respite in sight. If we wait for humanity at large to wake up we can wait forever! I'm really hoping phase 2 means "the event" and I hope it happens soon!!!!! Phase 2 are the arrests. Banks closed for 5 to 13 days, stock up on food and water. Military on the ground maybe partial Martial Law temporarily if people get violent. Emergency Broadcast system and announcements on the corruption in Govt's world wide. There will be instructions and certificates to buy things, your money in the Bank will be returned to you. Al ATM machines will shut down no credit cards will work.All temporary.There are 3 phase are victory is near !!!!!!!!!!! God Bless the Resistance i love NY!!! I wish I was as optimistic as you are but nothing specific is being given to us, we do not know what phase 2 means. Hi Cobra and forum, I have question about what is the content of the Voynich Manuscript? KoBayashi Meru is claimed. New Window/door parameter will be disclosed shortly. Bad guys in jail would be a great step! Then we can begin to talk. If Phase "2" is Imminent, then we should be in the throes of the concluding Phase "1" which include the infamous cabal arrests. Okay where are they? My guess is that some change-up in the order of events may have occurred. Phase One may be deferred now until after Phase Two. Blessings! This update doesn't make sense. Phase2 is stated without qualification so we must assume it is THE phase 2. Also not a single top level member of the cabal has been arrested yet. Lastly what does imminent mean? Back in 2012 we were being told the event was imminent. How do you know none of the cabal have been arrested, do you even know who theya re and how many bankers are getting arrered every day world wide Bush Sir is dead Cheney was arrested the other day just because you dont hear it on TV doesnt mean its not happening.Look into your intuition listen and it will tell you, but that is if your if the light. If Bush is dead Cheney is arrested, GIVE US SOLID EVIDENCE! Feel free to back up your words with proof. NIRP : Negative Interest Rate Program, or 'Bail-In's'! If you are not following the money, soon central banking criminals will BAN CASH in order to seize control of ALL currency. The banking criminals are going to start with eliminating large denominations of currency like the EURO500 note and the $100 note. This is not hearsay or conspiracy, but again, IF you are following the money, expect this to start. If you have a CHASE account, try depositing a sum of cash, and see what happens. They will want you to provide further information regarding a cash deposit. NIRP is the FED's new way to steal, by charging anyone who banks using the criminal banking system currency. The FED's know the 'system' has failed, and they, the FED's are backed into a corner. Now is the time to strike and alert the population, because the 'Dark Cabal' is relying on a sleeping population. Banning cash is a lot harder than you think. Lots of illegal activities rely on cash. So many in fact, that the economy would collapse if they all suddenly stopped. Economic collapse will pretty much force The Event to trigger. Wouldn't it be wonderful if it happens on Valentines Day? Bubble economy burst come to Japan today. 3 Phases - Phase two adjudication. Phase 2 or phase 20, our job, and pleasure, is to hold the highest vibration possible...before and after the event. The event is in some ways little more than the lifting of an illusion, we can see threw that illusion now if we are willing to release our investment in it. I know it isn't easy, but it's easier than living as a victim of the program. I don't like to get my hopes up when I see messages like this, but just looking at the state of the world right now. I think there's a good chance Phase 2 means what we're all hoping it means! If anyone knows where the article I'm referring to is, please link it! Popping up all over YouTube is an album by Om called "God Is Good". Nothing to argue about there, it's just that I simply don't like the music at all. Too bad, sorry but prog-rock just isn't my thing. Do check it out, though, maybe it's more your cup of tea. Instead I'll play you this. Light Machine set up with 69 candles now, 33 of them lighting up the night. It was OUR voice that cried it out. It was OUR Ears that heard it and OUR HEART which responded. Blue Jays. Now IC you have found your Nests. Nice and tidy and clean. Welcome Home, WE are glad you're here. Window parameter winDoors on Mount past Red Rock. Mr. Putin. I appreciate you more than I can express through digital means (as you know very well). Now, please allow me to interject here that McCain is not Able! And neither Hedge Mony nor blood money is in THE Plan for government funding on this planet - indeed it WAS NOT EVER! That Apache Warrior mask you hold may be returned to The Hopi in exchange for Templar Metal and a NetRider Knapsack. You shall NOT be interrupted by mMe. Now, sand tends to shift. But I AM a Rock. The Rock of Ages. I may cast a Shadow, but it is not one of turning. And WE do not draw lines in sand anymore. This one is drawn with CHALK. AND IT SHALL NOT BE IGNORED, neither shall it be stepped on. That Fennel root remains intact. Nein, bist Du nicht, Kathryn. Du hast hier öffentlich erklärt, dass Dein Name "Kashmir" ist, und Du hast hier öffentlich und offiziell Mir gegenüber "Hell's Bells" erklärt. Glaubst Du etwas, Wir hätten das vergessen? Reicht jetzt mit dem Unsinn. I think the best thing we can do, as people who are far more educated about the truth than most, is to help provide a voice of calm and stability. It is very important to remember that if we repeat the mass atrocities of other cycles, we are rewarded with the 100-year partial disclosure timeline, and it could very well take that long. The only way we get full disclosure is to pull together as an alternative community and demand the truth once the partial narrative is set out for us." "Planet must ascend by end 2017, or else she will have to wait another 26,000 years. Which is why Mother Gaia decided to resume her own Ascension after having delayed it for so long because of Humanity. Mother Gaia has already missed 12 previous cycles which ended in doom, she will not pass up this opportunity again, she WILL Ascend, this is her new timeline and she will not stay for another cycle of Matrix control. IT IS NOW UP TO EACH ONE OF US TO DO WHAT WE NEED TO DO or the transition period will be very difficult.....what do we choose?" I'm feel certain that many millions of awakened Terrans would feel 'counted' should the non-Terran-Allies (NTA) take our 'awake' condition into consideration. They should realize that none of us would be 'freaked', by their conact. With the 'inner-voice' just say, 'hello'... That's all it would take. HAPPY, HAPPY, JOY, JOY !!!! cobra any info about Oregon are this FBI scumbag are reptilians ? I can not wait for the EVENT to happen ,running out of gas here man . Tooth for a Tooth, right? Right. I've given ENOUGH TEETH, and I'm sick and tired of giving any more. What *IS* The Frequency, Dennis??? Get your Asses outta here! And that's The Bottom Line 'cause RaJah Says So! And Boy, did that dude ever look lost and like he's out of his mind. Just give it up, will ya, buddy. Time's Up! It's Hero Time, Time To Shine. "Hey!" I say. " You can keep My things, They've come to take Me Home." Nach Hause, Dini. Nach Hause, mein Schatz. "You Know that part of your brain you use to push holes in the clouds "just for fun"... Try holding space-time with it, a little off-center, and give it a twist". I forgot to tell you, "If you do manage to grab a chunk of space-time... your field of vision will Rainbow Haze for about half an hour... and, I think you could go blind if you didn't let go in time. This may be a good time to prepare for any disruptions. Keep in mind food and supplies for yourself and loved ones including pets. Just a friendly reminder and maybe a post on this as well would be informative. Prepare for change ... As the good times roll!!! It's time to light the fire and kick the tires. Everyone in there flight suit it's going to be a wild ride. The time is now for we hold the destiny of mankind in our hand so let's not blow it, full speed ahead. CHARGE!!!!!!!!. Great inspiring video...Thanks Cobra, Untwine, Fa Sirus & Prepare for Change! At the rate we are going,... w/ nothing to show for after 4 years,... are we just waiting for Drake, Wilcock, & Fulford to provide us w/ the instructions on how to peacefully surrender to the NWO,... ??? We can speculate a message meant only for the RM till the cows come home. One could easily speculate phase 2 imminent as a major conflict in Syria since there are reports an attack by the west is imminent. Also I think the petition numbers are being tampered with. We should have gone over 20,000 last Thursday but the number are creeping in the 19,000's. Someone should check on that. Just want to quote something that Cobra has said on this site. "I am not at liberty yet to disclose any timeline for those events. The only thing I can say is that the moment of total meltdown of the current financial system is the last possible moment for the Event to occur, regardless of everything." Hope the event is soon! Here's Eye for an Aye Baal. Still looking for that gold? The Family Jewels? They have long been moved from the Superstitions. I surrendered them to Fibonacci. It's not a Hallmark card, but WE know how to send the very best without spending a dime. My "cathedral" in stone is Hagia Sophia. Do you see any chalk there? Only that witch walks in and out wearing Nike shoes. I wear The Pants. Perhaps you've seen them. They are Neon blue. THE Michael wears THE HAT. HE is the The Mad Hatter, and now HE has all your chips. You should have seen Me coming... The Rock of AEGIS. And WE have been shedding tears on our bent, bloody and wounded knees for far, FAR too long... and ripping our cloaks the whole distance. I won't be missing Thanksgiving Dinner. I am the Apple Pi. Those are the little guys ... when the big guys like clinton, kissinger, bush, rumsfeld, chaney, obama, and their cronies are arrested then phase 1 will be in effect. What are your opinions about this comment I found on http://prepareforchange.net/2016/02/12/worldwide-reset-is-imminent/ ? to the post „Worlwide Reset is Imminent“? According to Cobra The Event has to be completed by 2025 so that blows your theory. Just disinfo in order to get you to accept that as your reality. I think COBRA has to rethink his (PHASE 2 IMMINENT POSTING)cause first of all I do not see sh-t happening and IMMINENT means fast approaching,any moment, like a hurricane will fast reach a certain destination! Right now SH-T is happening! Hurricanes take many days to form and travel, pass over, the winds and surge coming in the wake of the Eye. Cabal likes the build-up of fear they produce, and the distraction from what they might be up to. Tornadoes are more "imminent". Several years ago, we had some here in New England. Our local Meteorologist was able to pinpoint exact neighborhoods where funnel clouds could touch down, the broadcast telling people to go to their basements immediately, tornado imminent. Many did, some homes were destroyed, and a few people died, it was that fast. However, linear time is not experienced the same way in multi-dimensional reality, and everything is always connected to everything else, in timelines. "Imminent" can shift from one timeline to another, depending on the mass consciousness in any given moment. Keep your head to the sky, but your feet on the ground. Careful what you wish for. Hurry up and wait. No time like the present. That message is for the RM not you. You don't know what it means ... you were not meant to know. It can't be the phase 2 talked about in 2012 because phase 1 hasn't happened yet. Yes I do feel the same way too. The situation on this planet is getting worst by the day. The control system is tighter than ever before and planning even more atrocities, how much genocide of humans and other creatures is going to be allowed to happen? And how much more is Mother Earth going to be destroyed? It is time for us all to fully comprehend that WE create our own reality and if our fear is what we are acting out then we will get what we are image-ing. Stay away from mainstream media for the information you seek it is a tool of the cabal to sell the message that they are winning. Simplify your life and get back to basics living life as a sovereign being of the universe. Our liberation begins and ends with our perception of the life we have created and the level of responsibility we take for that. Our task is simple be the best you can be, do no harm to self or others and you will have peace, joy and happiness in your life. We do not have to know "everything" in our mind, but we can feel our truth in our heart and allow that to guide us. Be calm, have faith that the divine plan will play out as it should and allow yourself time to relax into the truth that our thoughts, words and actions really matter a great deal. In fact this is all that truly matters. If we are truly honest with ourselves we are impatient because we have not taken full responsibility yet for every aspect of our existence and it is easier for make others responsible for WHEN change will come. There are so many things we do to cement in our minds that "the system" does not own us and we can assert our personal power daily in many ways without it being obvious to anyone else. The peaceful warrior will win in these times. Blessings to all and live well. Thank you for the reminder. I needed it!! Live like it's already happened!!! Volltreffer mitten ins Herz bitte. I miss all the fun here when I'm at work early and late, day after day...and spending my free time recovering from working so much...too tired to get on line sometimes. We all need to be recreating balance (thanks for the concept, Untwine!). I thought that "Inminent" meant a few minutes or hours but a few days have passed. Has phase 2 already started?